I wish you all a happy new year in 2018! The world is still in chaos – but let’s carry on our own creative year. Only 31 years since the last featured stamp “hand and tool 2” – one of many Millennium stamps was showing the latest tool at that time, and an operating hand in X-ray photo. Well, it is a bit old-fashioned shape of mouse with wire ( ooops, already 17 years ago! ), but it was less than a decade since the mouse became a common tool for many industries. 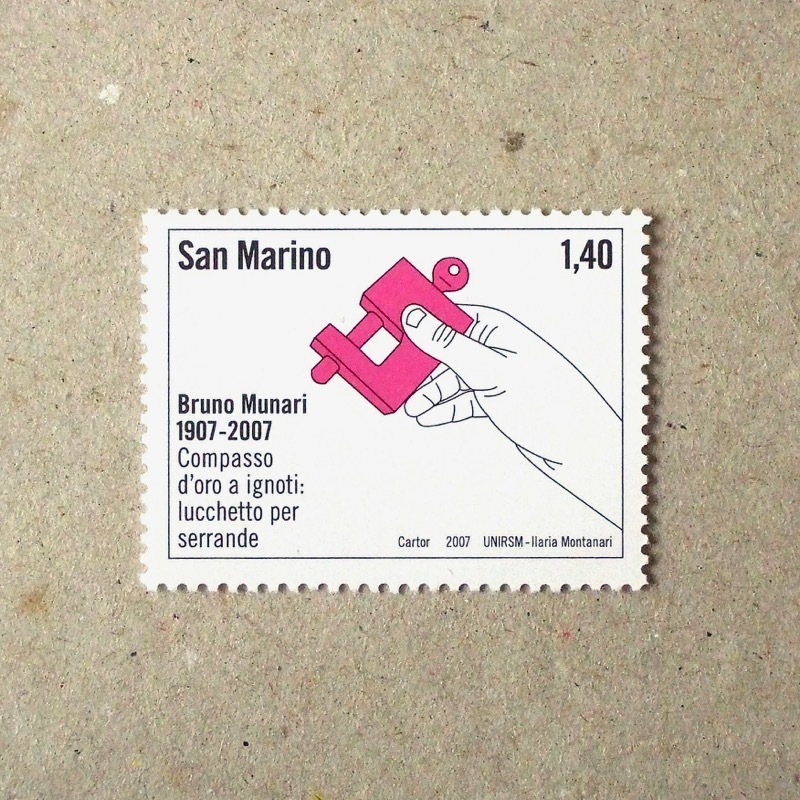 One more design by Bruno Munari – description on stamp ‘attrezzo per vetrinista’ is translated to ‘window dresser’s tool’. Window dresser? Wikipedia told me that is window display professionals, includes young age of Giorgio Armani and Salvador Dali! 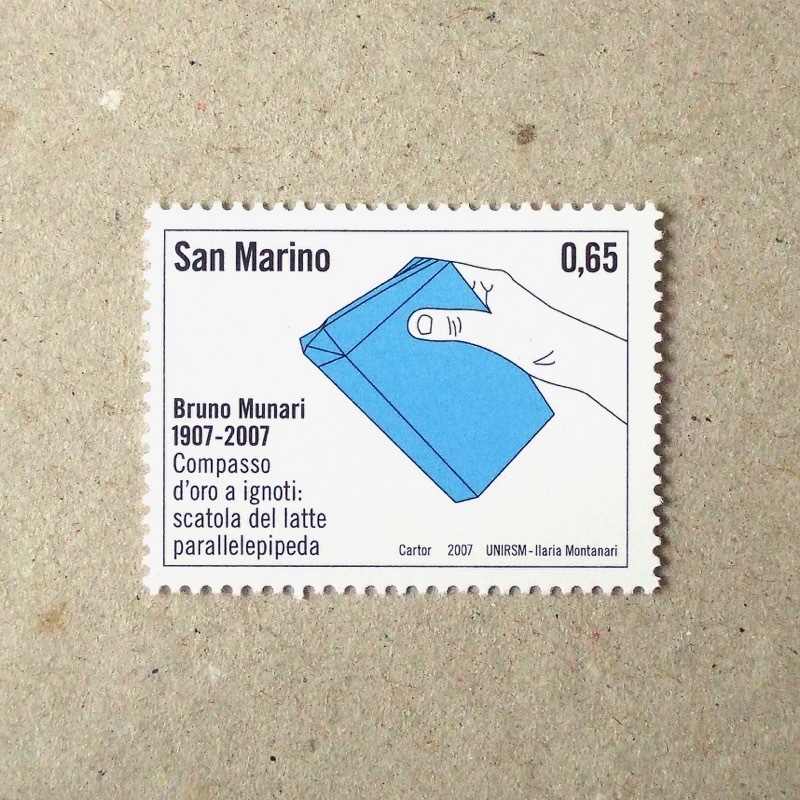 I wonder if Munari has invented this tool for them or refined existing tool for production… Anyone knows? 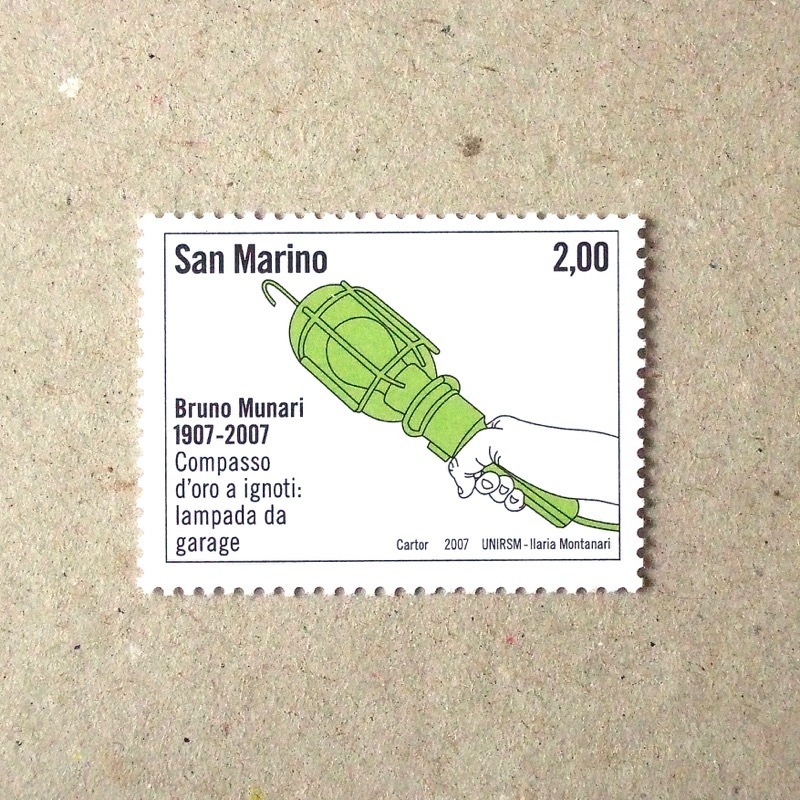 Memorial stamps for the Italian designer Bruno Munari showing hands holding products he designed, and receiving the Compasso d’oro award. 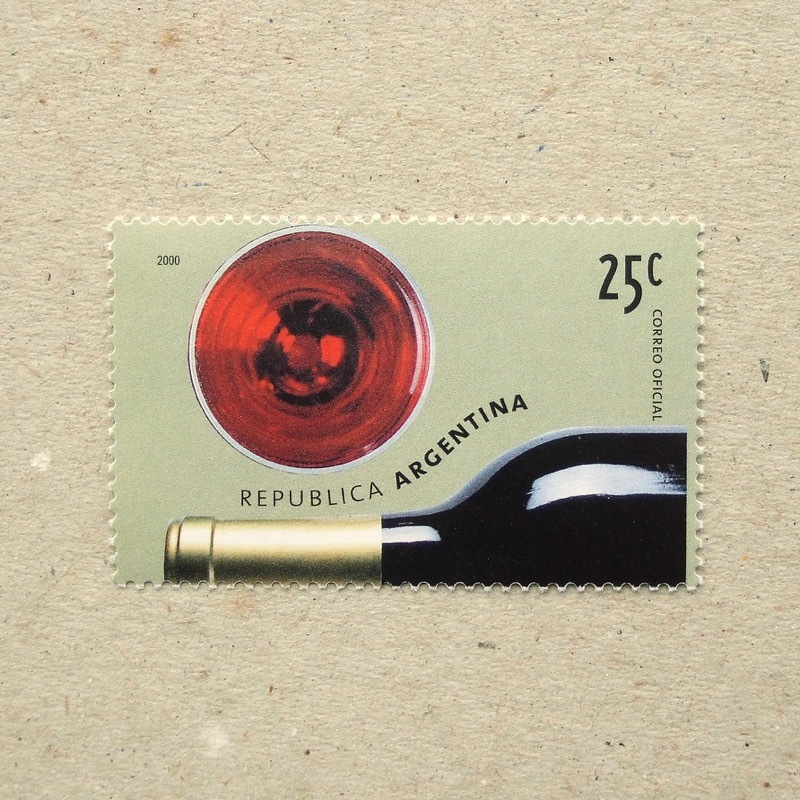 Until I saw this stamp, I didn’t know the stylish and common hook-or-hold garage lamp which was designed by him. He is known more for his beautiful illustrated books. 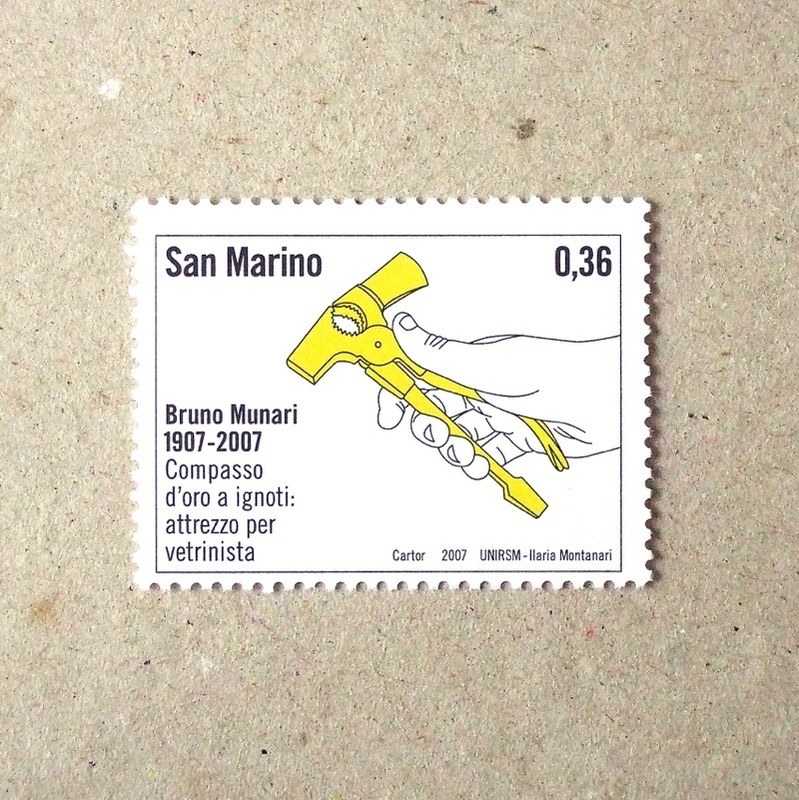 Using hands for these stamps pays a compliment to Munari’s book from 1963, named Supplement to the Italian dictionary – a lot of photos to tell us how Italians use their hands in conversation. I wrote that I don’t like stamps of photographed toys….. and then I found these British stamps! They are good – delivering an evocative feeling of vintage toys. What makes them different then? Maybe the simplicity of a white background and the braveness of adding nothing behind the object. For example, these Swiss stamps or these Bosnia and Herzegovina – are not bad, but not cool. This Liechtenstein set is funny and my favourite. Once I saw a collection of Meccano used in the design development process in a design studio. It’s a wonderful system, good enough to examine how a real product works! I am still thinking about kawaii/cute in stamps – how about colours? OK, this is not only colour, but with a motif, of course. Yet, is it still cute if not in pink? I did not like the colour of pink for long time, since my low-teen until recently, because I though pink is representing girly flatter to gain anything better, which I was not equipped with. I was reconciled with pink when I recognised that I am not called ‘girl’ any more. 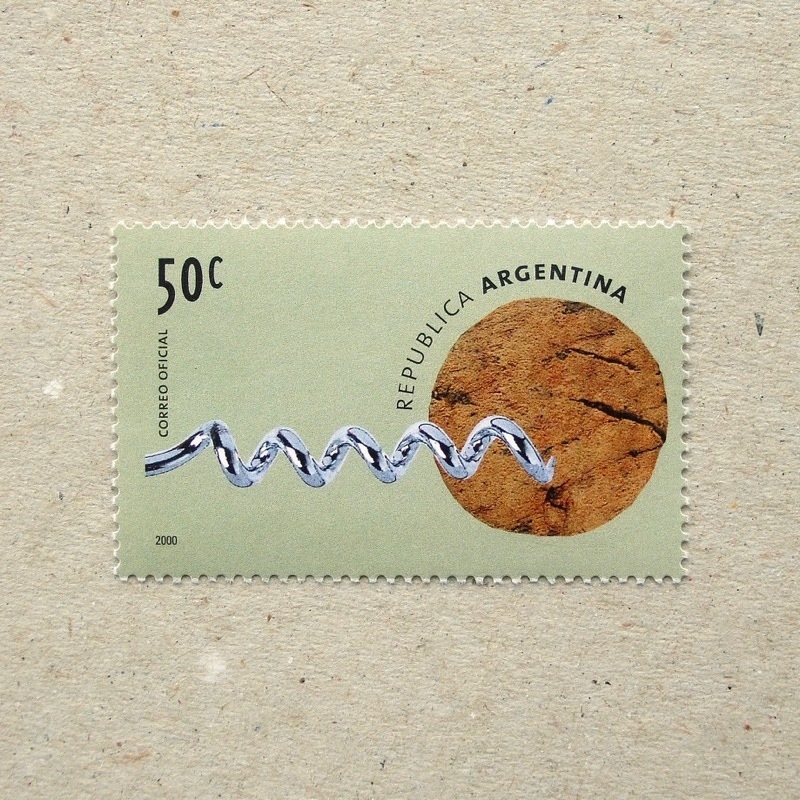 Anyway, this stamp is simple and cute, and it delivers very strong message, anytime. But not all of them are kawaii, in fact – it is very personal opinion, maybe, but the ones in a stamp below are not cute. To compare to those industrialised faces, very recent bus designed by Thomas Heatherwick is, in a way, kawaii. What is the decisive point? Round, low and distanced eyes?? Oh, and as you might notice, that this series are printed in one long band of 16 front faces. Click the bottom image to enlarge. The hand carved woodblock print was born in China, and in the 15th century in Europe, metal letter press was invented and that made the printing culture wide spread. 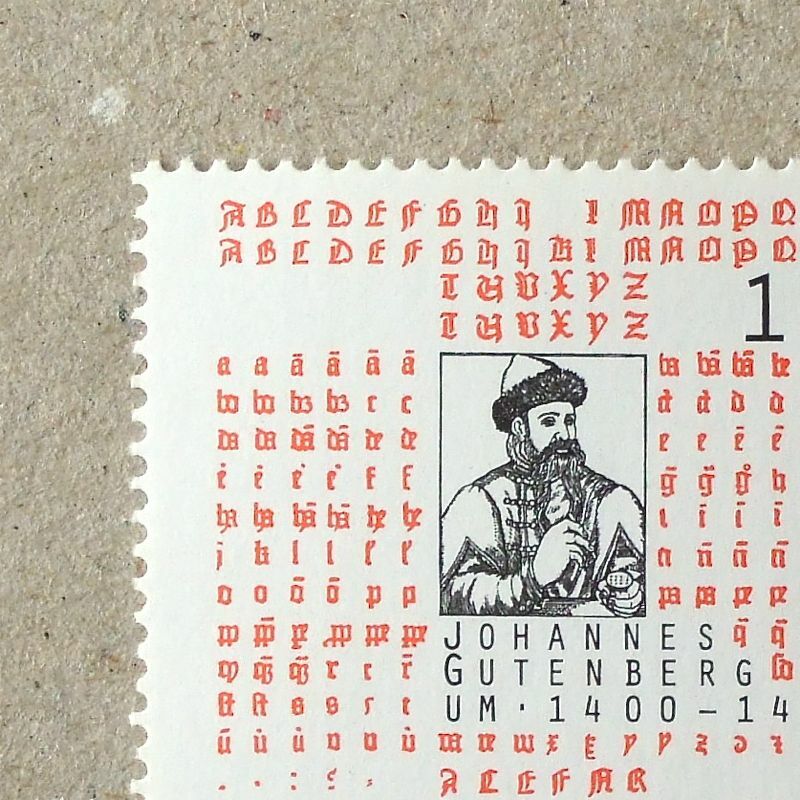 This stamp is celebrating the inventor’s birthday of 600 years ago – well, he is responsible for many areas of later development, such as publication, education and yes of course, typography. The letters from 600 years ago were quite a bit different in written manner, by the way. In autumn, somehow I want to drink Red wine rather than summery White wine. So, I feel that I am in autumn season, today. 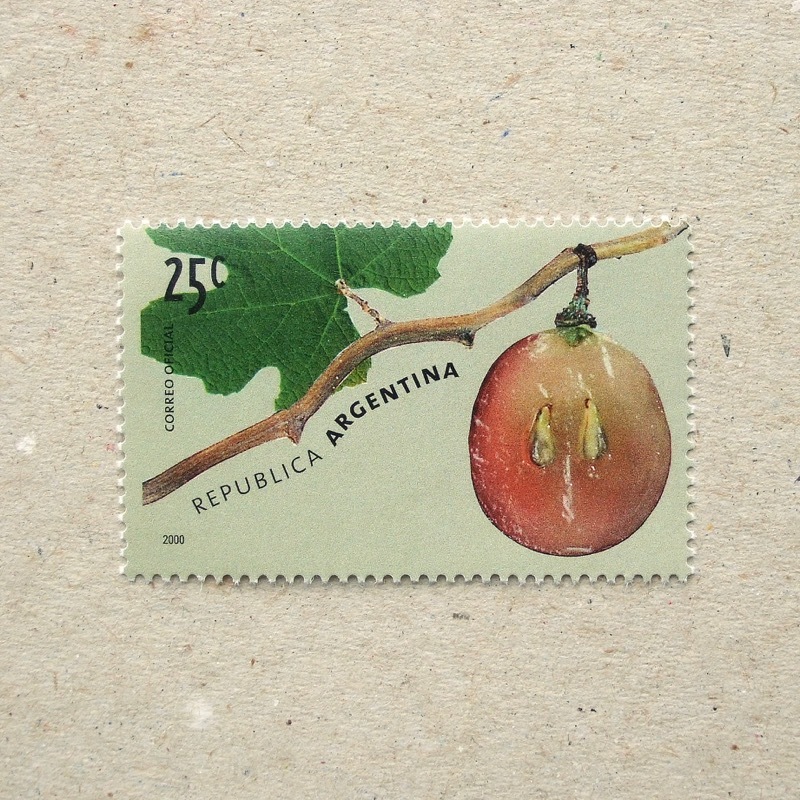 I met a very nice designer/artist couple from Argentina this summer in France – OK in their country the season is now spring, but here in Europe I think about harvest of grapes. 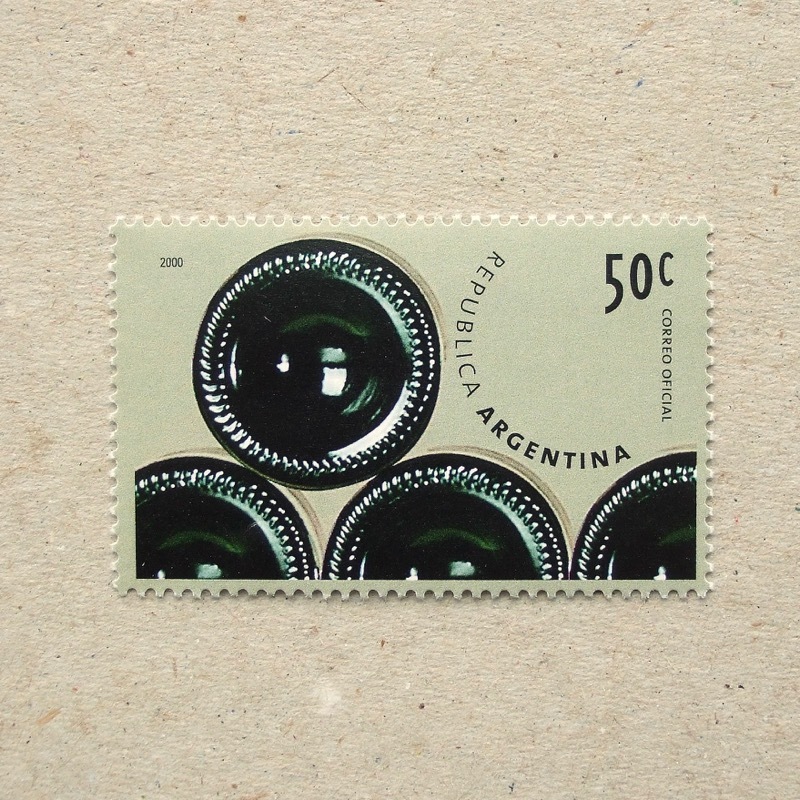 Well designed stamps with rhythmically placed circles, to tell us their passion on wine – I wish to visit in the near future. 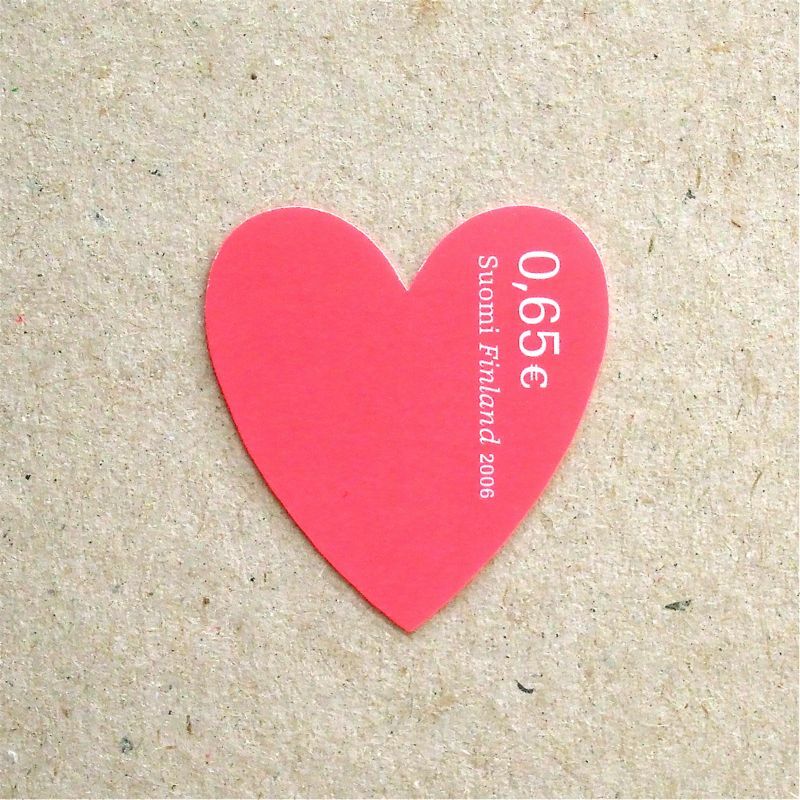 I am not a fan of self-adhesive stamps normally, but for this set it is appropriate and a great joy to have a lots of sticker parts to choose from. The only one restriction is not to hide the Queen’s silhouette and 1st class value. So, the results are my designs, except Mr. Potato, which was one of the examples by the designer. In 2010 Finland issued a bad copied version of this series – not as cool as this British original design. What’s going on at the Finnish Post?? Finally we have summer here in the UK for the last 7 days. Blue sky! Ice cream!! Our hydrangea has survived a long cold spring and is just starting to bloom now. The negative side of summer here is; melting roads, steaming Underground and buses and expanded rails – all making our travels nasty… I thought about beaches, but have not been there yet. It was three months ago, on 3 December 2012 – the morning radio program was interviewing a man, a former researcher for Vodafone, who had sent the world’s first text message to a mobile phone in 1992. The program was celebrating the 20th birthday of SMS. This stamp shows the communication tools in 2000. After only 13 years, we rarely see this type of telephone handset these days, handle CD format data less and less, and also the mouse has evolved. The appearance of physical products don’t stay long, but “@” has been surviving well and we will keep it for a while.. won’t we? Kune kune is mostly for a single object swaying or winding. When more than one object are together going kune kune – that is nyoro nyoro!! The third stamp of this year is from the UK, showing St. Patrick – with three snakes nyoro-nyoro-ing behind columns! In the legend, St. Patrick was attacked by snakes when he was doing his ’40 Day Fast’ and he chased them into the sea and banished all snakes from Ireland… Well, modern research tells us different reasons why no snakes are found on the island. Another stamp to feature a scene from “The Wonderful Adventures of Nils”, and this is celebrating the 150th birthday of Swedish author Selma Lagerlöf. This popular story for children was published in 1906. I saw a group of birds in a V-shape, traveling towards the South of Tokyo, beside the Tama River. I imagined sitting on one of them again, thinking that mountains, coastlines and rivers must be the guides for their long journey – but how do they remember all of those? In the early times of TV news broadcasting, the microphone was prominent – although news-readers are no longer talking to microphone these days, it being hidden or at least discreet. I like this almost stoic stamp showing early TV equipment, together with the shape of a TV screen in the three primary colours, and the old style ending title of a program. In my memory this shape of TV screen is familiar, but current TVs are all rectangular with a lot more width than height – cinema proportions, almost. During this Olympic games I watched several sports which I was not familiar with. One of them was Diving – throw oneself from a high board, perform acrobatic rotations or twists within a second or two and enter the water with minimum splash… the TV cameras showed great details of control of muscles in the air. My first feature of a stamp on London 2o12 Olympic Games is designed by an artist, Julian Opie, who is good at capturing flexible movement of the human body. In busy London, Wimbledon has started today. Then it’s 31 days to Olympic games and 64 days to Paralympic games… My studio is located on the edge of the ‘Olympics event zone’, and the area is dedicated for authorised staff car parks. It is easy to imagine that total chaos is coming soon! Three related sets of stamps were issued for the Olympic games since 2009 – less than half of them I like. Then I realise that the ones I like are mostly for the Paralympics. So, I started to look up the details of sports in those games. In the Equestrian events, people who started this sport for rehabilitation from Cerebral palsy will exhibit their developed skills, for example. Not just for top elites of pro sports or mere nationalism, it will be very interesting to watch the results for people with a different type of motivation.